We’re sending our Director of Marketing, Kristen, to Vegas! (Lucky girl, right?) 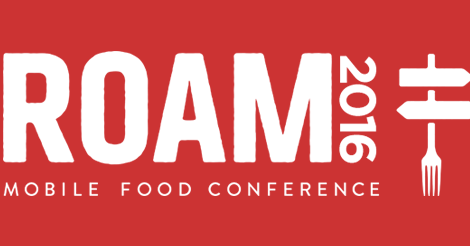 This weekend is the third Roam Mobile Food Conference, and Kristen will be in attendance as both a speaker and exhibitor. We’re super passionate about text marketing for food trucks. So much so, we even wrote up a specific case study featuring one of our awesome customers, What the Fork. Kristen will be running through a no fail 9 step branding checklist that will take your food truck from blah to BAM. Let’s face it. If your truck doesn’t stand out, your competition will easily outshine you. Stay ahead of the curve with an eye-catching, jaw-dropping, mouth-watering branding plan. At Slick Text, we’re all about “hands on” action. Kristen will walk each listener through a text marketing demo, and show you, with statistical backing and live “in palm” action, how text marketing can put your food truck a step ahead of the rest. Kristen will be speaking on Sunday from 245PM-4PM. Attending the conference, and want to brainstorm or shoot around networking ideas beforehand? Shoot Kristen an email at kristen(at)slicktext.com. Don’t be shy, let’s get creative and make the most of this awesome conference. Want live updates and special promotions? Text ROAM to 31996. Don’t miss out on the conversation. P.S. If you join the Roam text list, you’ll receive up to 4 Msgs/Month.